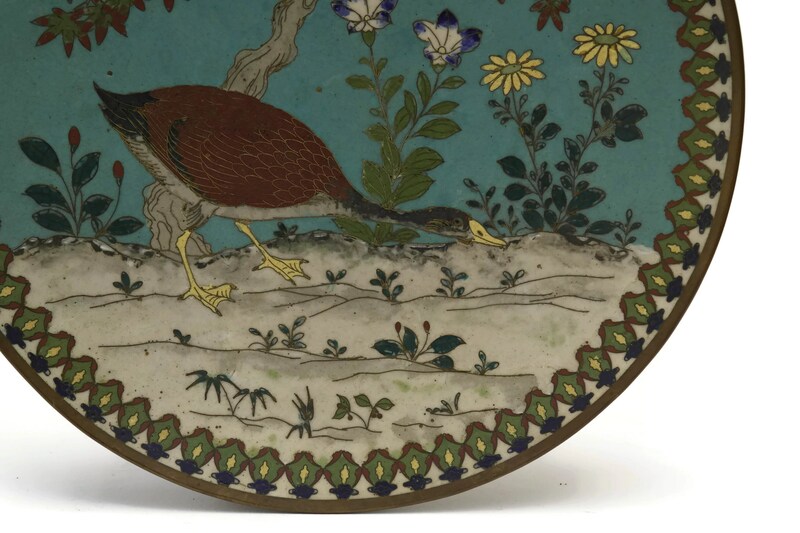 A beautiful antique Japanese cloisonne charger plate from the late 19th Century. 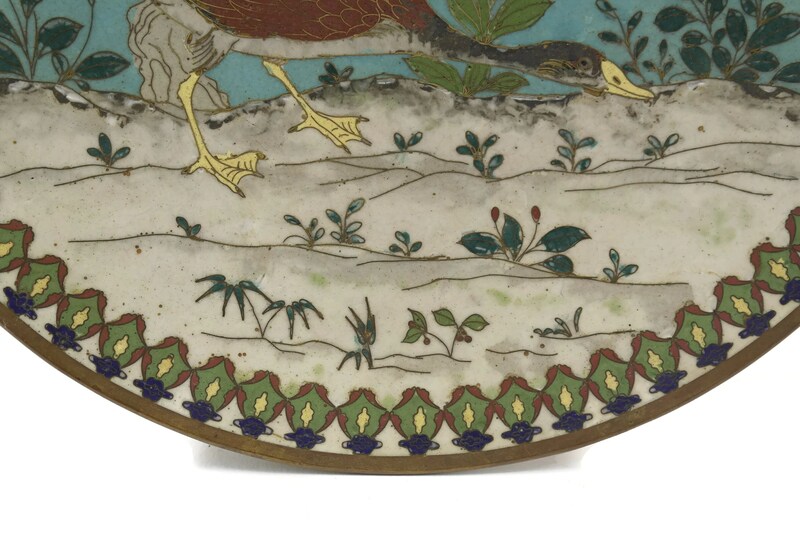 It features a classic turquoise enamel background with the figure of a duck surrounded by flowers and plants. 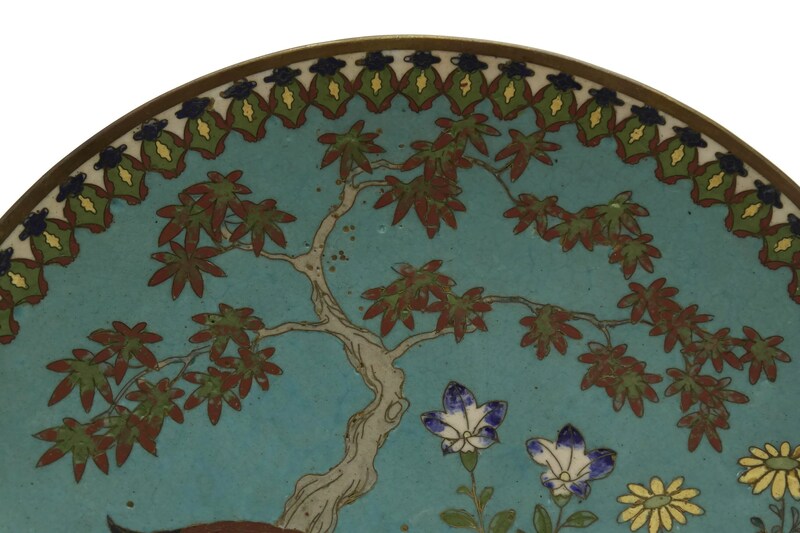 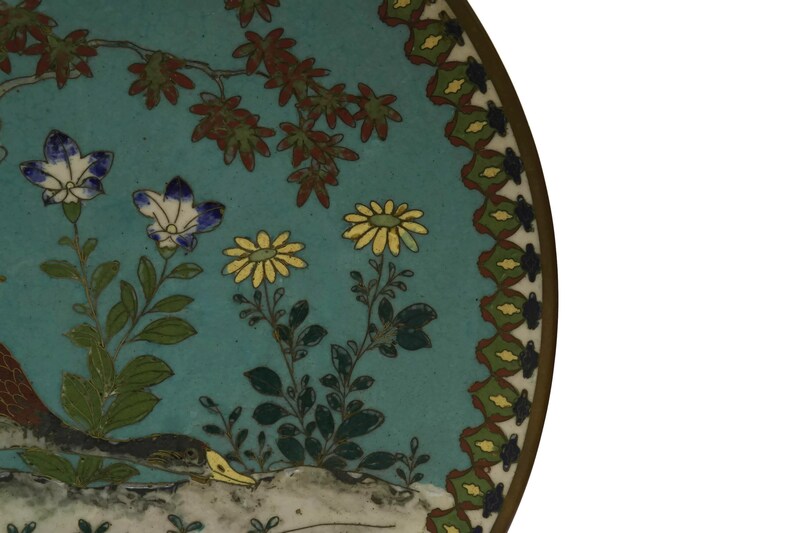 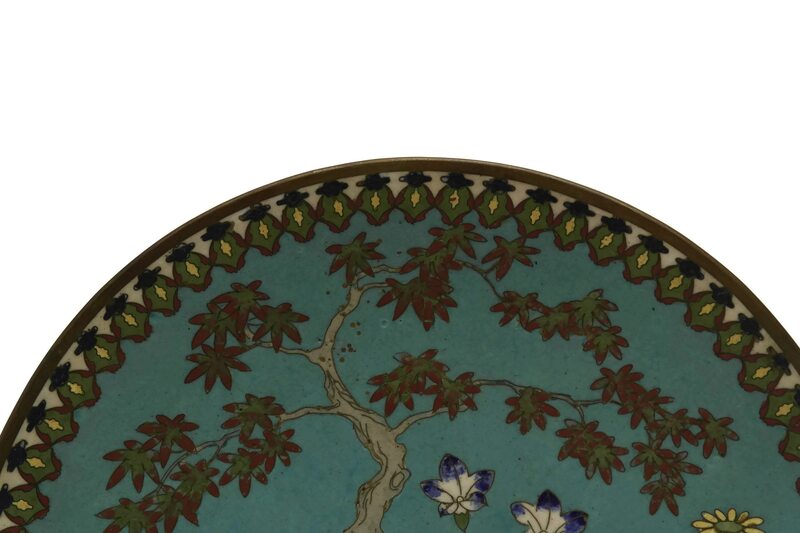 The border of the brass platter has an ornate decorative rim with blossom motifs. 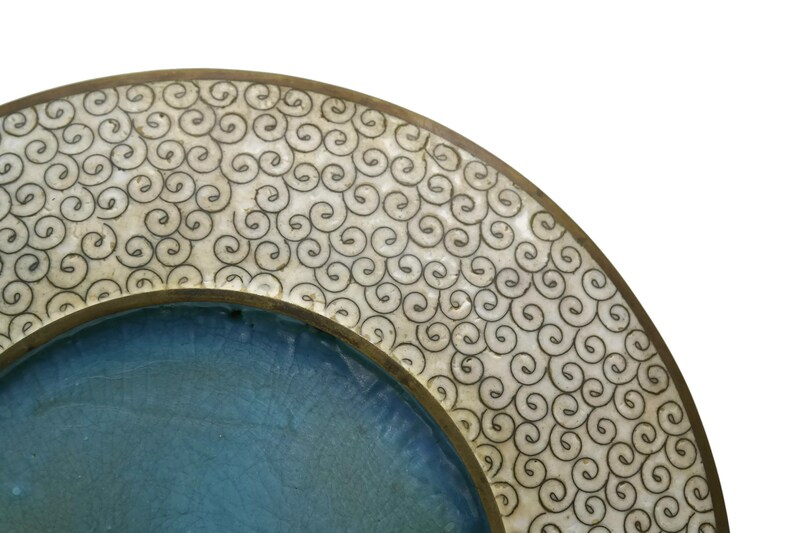 The underside has a traditional cloud pattern in a shade of beige enamel. 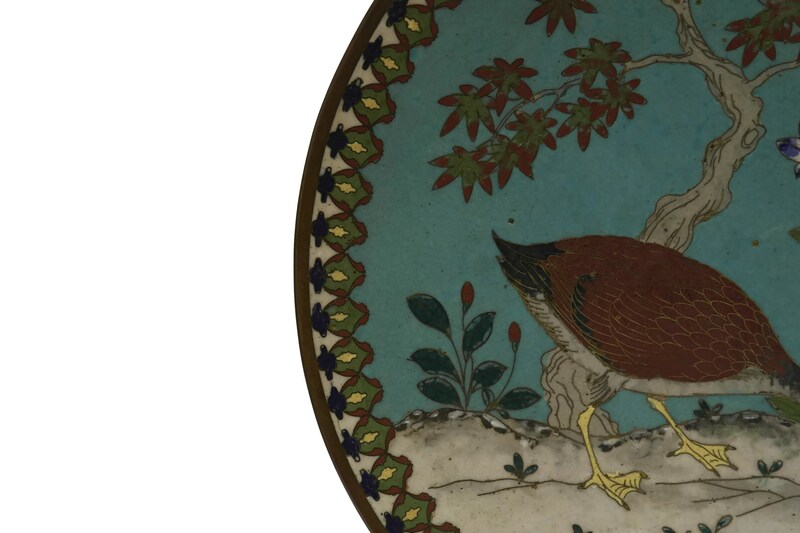 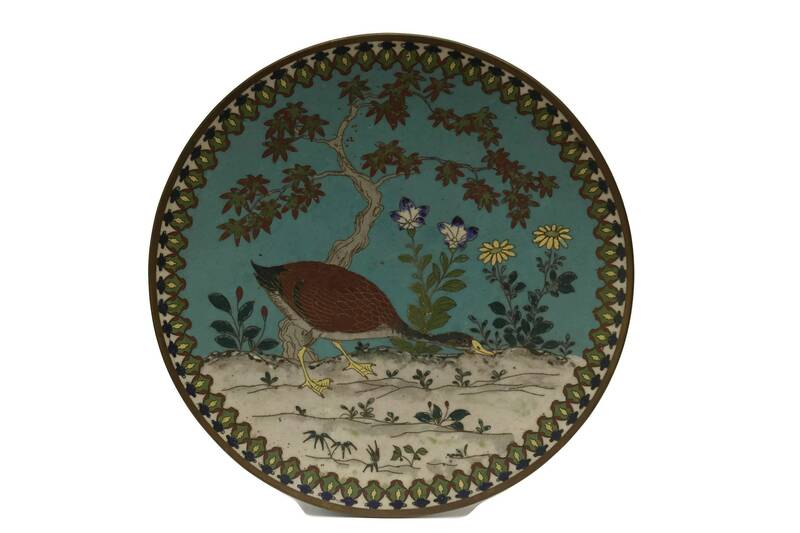 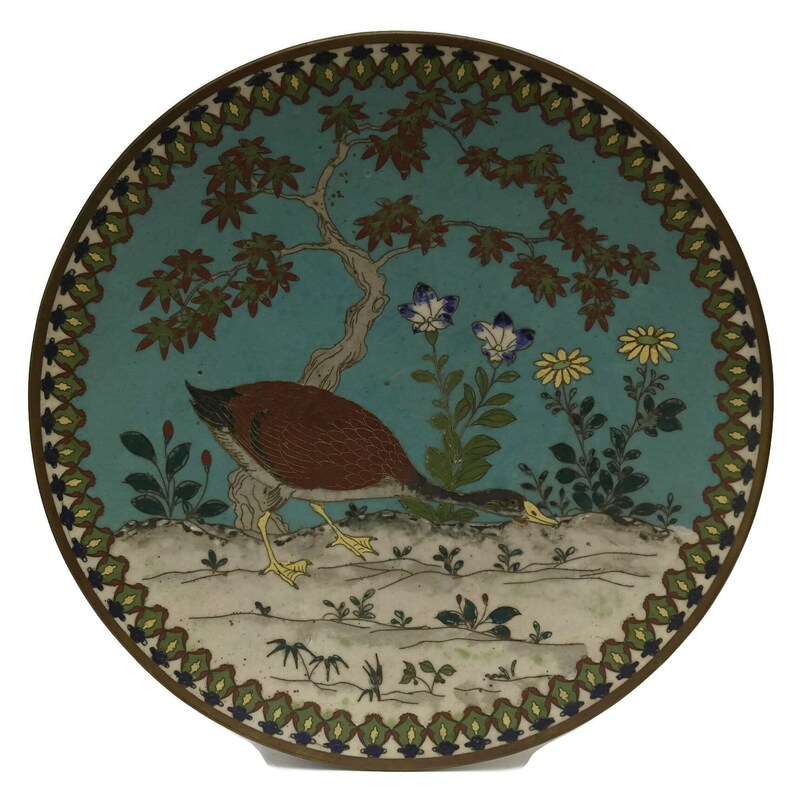 The antique cloisonne charger plate is in very good condition with some signs of age and wear. 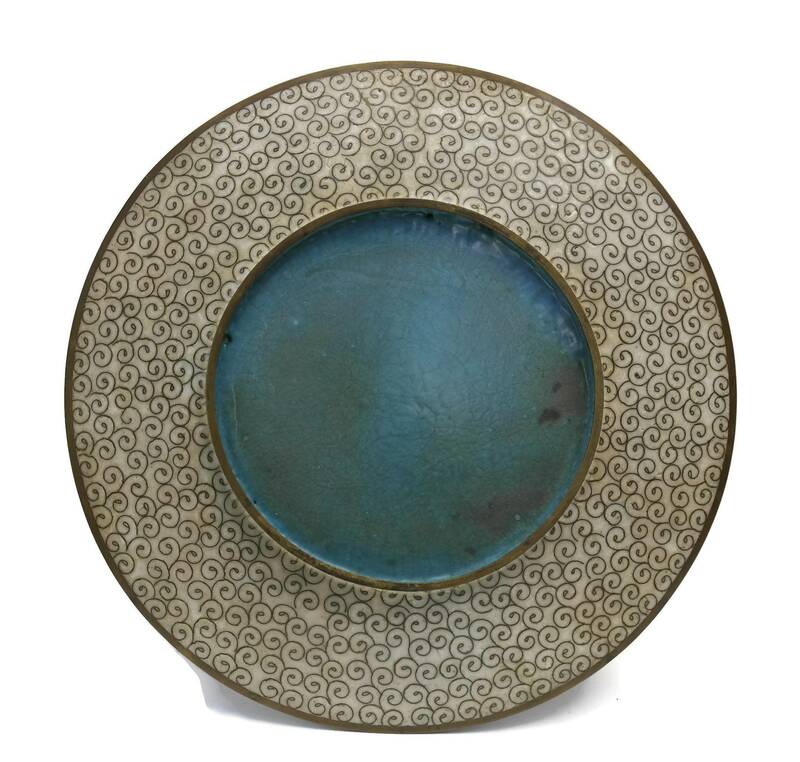 There is an aged patina to the metal and small pit marks and crazing lines to the enamel in places.